I’m a bit late reviewing this movie, but having seen it a while ago I can safely say that it was one of the most disappointing films of 2012. It isn’t a requirement that you like a movie’s central characters, but it usually helps develop rooting interest. That’s one reason “Killing Them Softly” comes up short: it’s difficult to care about anyone. If director and writer Andrew Dominik had told the story more compactly, or not encouraged some of his actors to play their roles so broadly, the results might be different. Brad Pitt plays Cogan, a hit man brought in to clean up the mess when two morons, Frankie (Scoot McNairy) and Russell (Ben Mendelsohn), rob a card game run by mobster Markie (Ray Liotta). Cogan is hired to punish them, which he negotiates with his Mob contact (Richard Jenkins). Most of these characters are low-lifes, and spending more than an hour in their company is not my idea of a good time. If “Killing Them Softly” rewarded me with clever story turns, I might feel different. As it stands, I got bored about halfway through, and as the story became more brutal and the acting more broad, I grew actively annoyed. 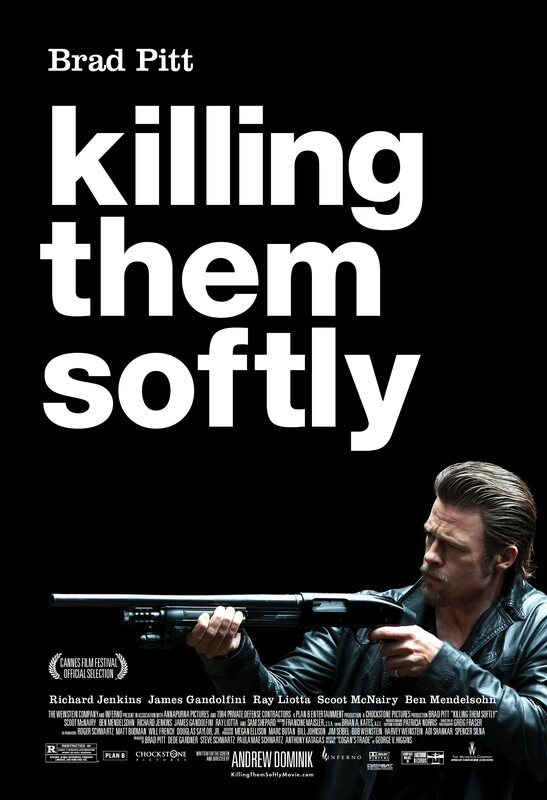 “Killing Them Softly” is a waste of time and talent. Hello, I completely agree with you. The characters were just written poorly. You couldn’t get into the movie with these ‘distant’ characters. But the movie was still ambitious. The fact that it follows the 1st Obama campaign, was well done.